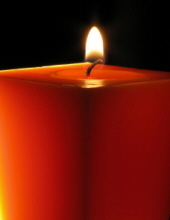 FOSS, Roger E., 75, of Riverview, passed away on Thursday, November 15, 2018. He was predeceased by his Wife, Jean; parents, Russell and Ruth Foss; brother, Raymond; grandchild, Randy; and great-grandchild, Riley. Survivors include his sons, Roger Foss, and David (Gina) Foss; daughters, Christine (John) Wolf, and Ruth Foss; brother, Russell Foss; grandchildren; Roger, Amber, Billy. Crystal, CJ, Rachel, Crystal, Barron, Kristin, Joseph, James, Joshua, Derek, Jennifer and Cody; great-grandchildren, Jorden, Jocelyn, Hagan, Payslee, Aubrey, Kinsley, Nathan, Peyton, Harmony, Rosalie, Jeremiah, Jordan, Jacob, Eli, John, and Kenzlee. In Roger's memory donations may be made to LIFEPATH HOSPICE/chaptershealth.org/give/donate. To send flowers or a remembrance gift to the family of Roger E. Foss, please visit our Tribute Store. "Email Address" would like to share the life celebration of Roger E. Foss. Click on the "link" to go to share a favorite memory or leave a condolence message for the family.